I do not like winter. Anyone who knows me would probably say that’s an understatement. 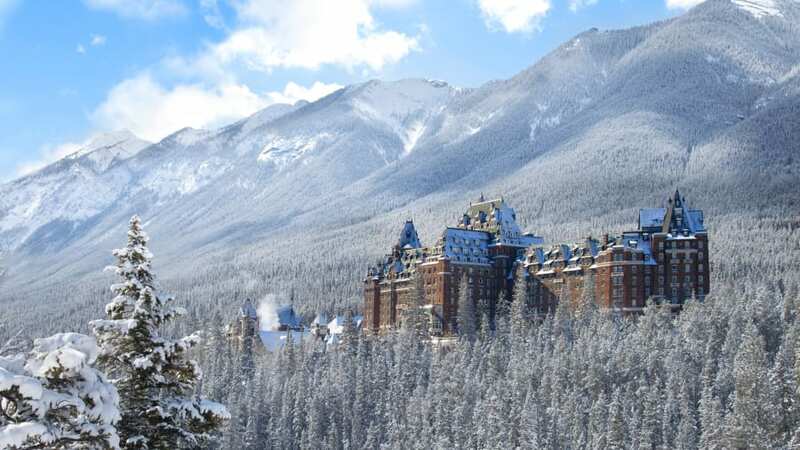 The Banff Springs Hotel in Banff, Alberta, Canada. I was born in Canada, so I endured many years of winter weather. I don’t remember when I started to dislike snow, cold, slush, ice, wearing huge parkas, plugging the car in (yes, engine block heaters are a thing! ), etc., but I am quite happy living in a warmer climate now. My middle daughter happens to love winter, which makes me question her DNA. When the kids were growing up, the only thing I enjoyed about winter was teaching them to ski and taking them out to ski each weekend. But I know there are many people who like or even love winter. This article is for you. Winter is definitely the off season, meaning crowds are smaller, hotels generally cost less, and air fares to many cold destinations tend to be cheaper, too. The holidays are the exception, though. Click here to read this article on Traveller.com.